"Hashem said to Moses: 'Behold, I shall rain down for you food from Heaven. Let the people go out and pick each day's portion in its day so that I can test them, whether they will follow My teaching or not.'" Without a doubt, man's hardest test in this world is his obsession with making parnassa - a livelihood. Certainly this occupies most of man's waking thoughts, from the moment he rises till the moment he places his head on his bed at night, throughout his entireadult life. Will the bank call me today because of my overdraft? Will I be able to pay my bills? Do I have enough money in my "nest" for retirement? Even our patriarch Jacob prayed to G-d only for a "garment to wear and food to eat." The Jewish people, maybe more than any other nation, has always had the issue and worry of parnassa etched upon them. When Hashem first commanded us to leave Egypt and follow him into the desert, a place of no water or food, some 2 to 3 million Jews - men women and children - went without hesitation, and for this they were praised by G-d, as the prophet Jeremiah tell us: I remember for your sake the kindness of your youth, the love of your bridal days, how you followed me in the wilderness in an unsown land". When the Jewish people left Egypt and began to complain of the lack of water and food, Hashem rained down upon them Manna -Angel bread - which continued for the 40 years that they were in the desert, and without great trouble they would be sustained with all that they needed. There were three aspects about the Manna: 1) it would come down in small amounts; 2) each person would receive exactly what he needed; and 3) any Manna left over would turn putrid. The Manna was a great test for the young nation of Israel. Would they take more than they needed to order to have for a "rainy day"? Would they go out when commanded not toon Shabbat to search for the Manna? The Ramban writes that every day the Manna would come down a little bit later than on the pervious day, and while they were waiting for it to descend, worried parents would be concerned that maybe today the Manna would not come at all and then what would be? But sure enough, it would arrive. In this way Hashem was testing His people and teaching them to rely only on Him for their sustenance. The Talmud relates that the students of Rabbi Shimon bar Yochai once asked him: Would it not have been better if Hashem would have given the Jewish people all of their needs once a year, instead of making them go out everyday to search for the Manna? He replied that Hashem desires the prayers of the Jewish people, that they should call out to Him. Families which had four or five children would cry out to Hashem: Should my children die from hunger? It would then be that Hashem would answer their prayers. Daily we struggle with the test of parnassa. It is the one test that runs after us time and time again, never releasing us from its hold. If we are able to strengthen ourselves with faith that all parnassa comes from the Creator - like the Manna that fell in the desert - that daily we receive exactly what we are supposed to for our families, no more but also no less - then we are able to uplift ourselves and connect to our Creator. This, then, is man's ultimate test in this world: Will we believe that Hashem is Master of the world and can certainly supply all our needs? Or will we fall into thinking that we must take "extra" stolen Manna into our houses, to "help" out G-d so to speak? Rabbi Elazar Hamidai said that everyone who has enough food for today and says what will I eat tomorrow is of little faith. As the Talmud tells us, what causes the righteous to lose their table in the next world? It is because of their little faith. Yes, they are call righteous, they keep all the mitzvot, eat all the right foods, learn all the right Torah, know all the right moves, but are still called by the Talmud, men of little faith, for not believing that Hashem can really provide for them. Today, the most common excuse we hear from fellow Jews in the exiles is: Oh, I would love tocome and live in Israel, but how will I make a living? People: Think about that a moment. What are you saying? That Hashem, Master of the world Who provides and sustains life for every little thing, from the mighty lion to the eggs of lice, won't be able to supply your family? While praying to Hashem we all raise and open our arms, saying: "You supply all living beings with life", as we turn our eyes heavenward, but do we mean that this is only for outside the Land of Israel? In Israel G-d cannot give me my daily bread!!?? Needless to say, this is the ultimate test for the Jew today. Do we really believe in Him, that even in the land of Israel it will be OK and he will supply our parnassa? Or do we stay behind in the exiles, not taking part in the final chapter of Jewish history unfolding before us and say: Well, G-d really cannot provide for me in His land, so I'd better stay put in the exile. Today, Israel houses some six million Jews, some rich, some poorer, but all of whom have food on their table and clothes to wear. Every day Hashem brings down the modern Manna for His people. Yes, He can and He does, but those who stay behind because they feel that He cannot help them - fail miserably the ultimate test that the Jew was sent into this world for. Ultimately, as G-d always pays back measure for measure, that very same "nest" that they have come to rely on so much will vanish before their eyes. "This Friday night, if you think the Moon looks UNUSUALLY big, you'll be right. Look around sunset when the Moon is near the eastern horizon. It's the biggest full Moon of 2010 - some 14% wider and 30% brighter than lesser full Moons of the year. The moon is in it's closest approach. The Moon's orbit around Earth is not a circle; it is an ellipse, with one side 50,000 km closer to Earth than the other. In a coincidence of celestial proportions, the Moon and Mars are having close encounters with Earth at the same time. Moreover, the two will spend Friday night gliding across the sky side-by-side. Mars looks bigger through a telescope now than at any time between 2008 and 2014." What a packed Shabbat we're having and it's my birthday, too! Yep! That's right. Tomer Devorah (Devash) was born on Tu b'Shevat on the parsha that includes Shirat Devorah. With deepest gratitude and heartfelt thanks to HaKadosh, Baruch Hu, for another year to learn Torah, serve Hashem and perform mitzvot and acts of chesed. My birthday wish is to live to see the face of our Righteous Mashiach, may He come without any further delay at all! I wanted to do this before Gush Katif, but I couldn't get any support for the idea. Eventually its time will come. I say we all get together and bring our hammers and chisels and surround the Supreme Court and start chipping away. If they are going to issue rulings to destroy Jewish property, they for d--n sure shouldn't be allowed to occupy their idolatrous palace to IN-justice!! CHINA - An avalanche in western China has killed 14 people, bringing the reported death toll from a fierce cold snap to at least 27. The avalanche occurred on Tuesday in Yili prefecture, an area along the border with Kazakhstan. The news comes after the nation's media earlier this week reported 13 people had died in Xinjiang from the WORST SNOWSTORMS IN SIX DECADES. Twelve of those had perished in avalanches. China has endured an UNUSUALLY HARSH WINTER, reaching its height since January 1 with heavy snow across vast parts of the country's north and west, but Xinjiang has suffered the hardest from a series of Siberian blizzards. Thousands have been left homeless after the heavy snows led houses to collapse while thousands of livestock have died from exposure or starvation after grazing fields were buried in snow. YELLOWSTONE - 1,033 Yellowstone quakes recorded in one week. The Volcano Alert Level at Yellowstone National Park remained at “normal” Friday, despite a swarm of earthquakes large enough to trigger seismographs in the Flathead Valley and cause chatter on Twitter. Working around the clock, scientists with the U.S. Geological Survey’s Yellowstone Volcano Observatory had recorded more than 1,033 earthquakes since Monday, including at least eight events over magnitude three. That’s more than half the total annual average in the park, which is 1,600 a year. ... “This is a big swarm. These things don’t happen very often. They may have a deep volcanic connection, but right now, it seems to be related to tectonics.” There was a similar swarm in 2009. The swarm is on par with an event in 1985 in which scientist recorded more than 3,000 quakes. “It’s interesting, with swarms, the earthquakes can start up small. There’s no one big earthquake, there are just a bunch of smaller quakes that can increase in intensity and go back down.” Scientists have no way of knowing how long the swarm will last, though the one in 1985 went on for months. ...Prof. Robert B. Smith, a geophysicist at the University of Utah and one of the leading experts on earthquake and volcanic activity at Yellowstone, said that the activity is a "notable swarm." ...In late December 2008 and early January 2009, Yellowstone National Park experienced the second largest earthquake swarm in Yellowstone's recorded seismic history. The swarm under the north end of Yellowstone Lake consisted of 813 earthquakes with magnitudes ranging up to 3.9. ...Mike Stickney, director of earthquake studies at Montana Bureau of Mines and Geology, said there is no way to predict when the next big one will hit. More: Yellowstone Rumblings: Nothing to Fear? You'll notice, there are no ads on this blog. It is not a money-making proposition. So I really couldn't care less how many people read it. If you are a truth-seeker and Hashem wants you to read something here, you will find your way to it and it will benefit you. G-d willing, He will continue to give me the time and strength to write it. For those who aren't used to giving the benefit of the doubt, you should know that this blog is under rabbinical supervision and was even when you advised me to obtain such supervision. For those who submit comments and say that you are xians or write something that indicates to me that this is your spiritual orientation, your comments will not be published. G-d forbid that this blog become a pulpit for your idolatrous ideas! You'd do best to visit elsewhere. Anything I have to say here is primarily for Jews (and truly righteous gentiles---those who have renounced any connection to false religions and have not created for themselves a "Noahide" religion made up from various stolen Jewish practices). The only message I have for any believer in, or follower of, the long-dead apostate Yeshu is humble yourselves and seek G-d's truth before it is too late. This is your only task. Until this has been accomplished, there is nothing for us to talk about, nothing you can learn from here. You only do further damage to your soul by trying to gather Torah sparks while still immersed in your impurity. For those Jews who continue to bed down every night comfy under the covers with your version of Hitler, y"s, what can we say? You don't think Western foreign policy is not a plan to annihilate and eradicate Israel with more than half the world's Jewish population? You think you are safe living among such people? Have you no pride or self-respect at all, that you can continue to turn a blind eye to the fact that you are aiding and abetting the enemies of your G-d? We are currently reading about yetziat Mitzrayim. Hashem tells us in these pasukim that he brought us out of Egypt only so He could bring us to Eretz Yisrael. IT IS A MITZVAH AT ALL TIMES FOR A JEW TO LIVE IN THE LAND OF ISRAEL. When a mitzvah is impossible to fulfill, our intention to do so merits us as if the mitzvah were performed. The catch here, my precious Jewish brethren is that today it is no longer impossible. We are at the very end and there remains absolutely no obstacle to your return to your homeland. This means the reward for doing so has decreased and the punishment for not doing so has correspondingly increased. The only "obstacle" exists within your mind and your complete lack of faith in Hashem's ability to provide for you in EY is what gives it life and substance. To the Jews of EY, Hashem is mercifully removing any dependence we have on the State shortly before it gives way, like the shoddy buildings in Haiti. This is something to cooperate with , not to fight. It's a good thing. We have to begin to act like we believe that we are completely dependent upon HKB"H, not the army, not the economic policies of the Finance Ministry and the Bank of Israel, etc. "Say the bitter truth, even though they won't like you...tell the Jews the truth if you love them...."
Why isn't every Jew an anti-missionary? I continue to be upset and frustrated at the lack of interest shown by those whom I have tried to inform of the missionary infiltration into the yishuvim, particularly in the Shomron. Tommy Waller and his family of thirteen, who are self-avowed Xian missionaries, have made their home in Ariel twice a year, every year for the last six, using it as a base for launching their missionary endeavors. 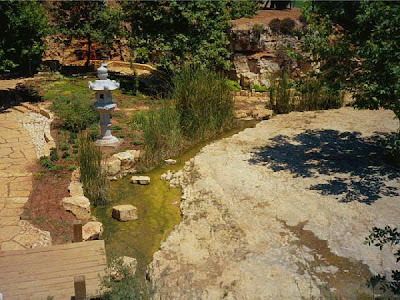 In the fall of 2009, they brought 100 like-minded missionaries with them to Itamar and Har Bracha to provide free labor to religious Jews. Why do they do it? They are "building relationships," i.e. sucking in the Jews until they are ripe for receiving their "gospel." Tommy Waller: "For us, sharing the gospel is not only verbal, it has an action to it. It's based on relationships. As we're working with these people, we'll be able to share with them this Jesus that we know." They seem so nice! This is the danger of allowing relationships like this to form between non-Jews and Jews, how much more so those who worship Yeshu as the Creator, G-d forbid! and call him "HaShem" and refer to him as "YKVK," G-d forbid!! They have been welcomed into Jewish homes and Jewish life. How long before there are shidduchim between their children and ours, G-d forbid!!! Brayden Waller: "Our family has begun a ministry called HaYovel. The vision of HaYovel is to develop a network of individuals, families and congregations [churches and messianic 'synagogues'] ready to labor side by side with the people of Israel, to bless them, to stand with them, to share with them a passion for the soon coming of the Jubilee in Yeshua, the messiah." One Israeli beneficiary commented: "They don't ask anything. They only want to give." Are we really so naive that we are ready to believe that the goyim will give so much to us with no strings attached? The Wallers and their followers think they are building their Olam Haba with the mitzva their "Master" gave them---to "go and make disciples"---to convince others by whatever means possible to become believers and participants in their idolatry. It seems some or many Israeli Jews are buying their story and becoming convinced, G-d forbid! David Rubin, former Mayor of Shiloh: Quotes from the Prophet Yirmiyahu and tells the Waller Group that the "notsrim" translated "watchmen" is actually referring to "Xians." IF ANYONE HAS ANY INFLUENCE WITH THE RABBIS IN THE SHOMRON, PLEASE MAKE THEM AWARE OF THIS VITAL ISSUE!! Brayden, Dad and I are on our way to go be with them [the Ortiz family] – so pray that God will use us to comfort them and that Yeshua’s name will be lifted high in that Israeli hospital! Since they started their work in Israel the family helped build a winery, harvested tons of grapes and olives, trimmed acres of vines and olive trees, moved rocks and boulders for roads and most importantly, built relationships with both Israelis and Palestinians. Parsha commentary by Rav Nachman Kahana of Beit Knesset Chazon Yechezkel in the Old City of Jerusalem. The humanitarian crisis caused by the earthquake in Haiti has moved the hearts of good people the world over. And the question is repeated again and again, "Why did HaShem do this to the poorest, most backward country in the world?" But, as always, the answer comes down to the hopeless dead-end statement that the word "why" has no place in the same sentence with the word "HaShem," because mortal man can never ascend to the heights of HaShem’s logic. 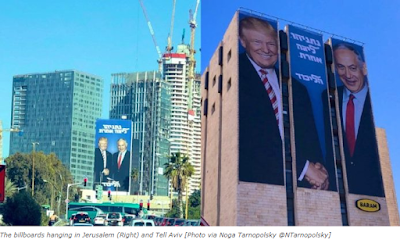 But, although we cannot know why this decrepit, bedraggled and crippled nation was chosen by HaShem to suffer this staggering, chaotic situation, we can deduce certain conclusions from the larger picture. 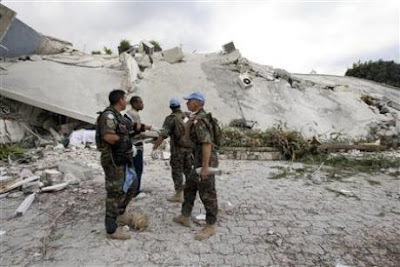 Almost immediately after the disaster struck, help was offered by the United States, the UN, and many other countries, including our own State of Israel. Huge tonnage of food and medical supplies are reaching Haiti, including thousands of soldiers to provide security for the many relief agencies operating there. The sums of money are staggering, and no one is counting when human lives are at jeopardy. The United States, as well as other countries, have offered to accept a large number of orphans. These actions are the height of altruism and deserve our highest respect. In view of the fact that the people of Haiti will never be able to repay the many nations, these life saving efforts are really le’shaime shamayim (for their own sake; not for profit). United States - an initial $100 million government relief effort plus ships, helicopters, transport planes and 2,000 Marines. Private party and corporate donation will probably exceed the government’s. Canada - $50 million Canadian dollars plus two Navy ships, helicopters, transport planes and a disaster response team. The UN - $10 million. Great Britain - $10 million, plus a four-person government assessment team and 71 rescue specialists along with search dogs and heavy equipment. The European Commission - $4.37 million. South Korea - aid worth $1 million. Irish telecommunications company Digicel - $5 million and help to repair the phone network. Spain - $4.37 million and rescue teams and 100 tons of equipment. Germany - euro1.5 million and an immediate response team. Venezuela - doctors, fire-fighters and rescue workers. France - a 400 staff from the public security authority, as well as a ship with two surgical operating units, 50 beds for injured and earth-moving equipment. Iceland and Portugal are each sending more than 30 rescue workers. Taiwan - 23 rescue workers and two tons of aid and equipment. Israel - a field hospital and 220 rescue workers. Switzerland - A rescue team and 40-50 tons of aid goods. As expected, no muslim countries are represented on this list. Very, very impressive! But it is like a rose bush with a very prickly, poisonous thorn. For herein lies the wretched, pathetic moral of this episode, so far as we Jews are concerned, that turns the entire episode into an undeniable, damning accusation of the world before the Holy Throne of HaShem. The civilized peoples of the world are capable of cooperating in assisting the destitute and hopeless. We have seen it before in earthquake situations in Turkey, at times of flooding in Asia and droughts in Africa, and in military intervention to safeguard the lives of innocent people threatened by evil men with evil intent, as in Korea, Iraq, Afghanistan and others. THERE HAS NEVER BEEN INTERNATIONAL COOPERATION TO ASSIST THE JEWISH PEOPLE. BUT THEY ARE QUICK AND UNITED TO CONDEMN US. In the 1930s, when Hitler called for the Jews to leave Europe, no country (except Uruguay) opened their doors to the potential victims of the German Amalekites. We should not forget the statement issued by Prime Minister Mackenzie King of Canada that "Even one Jew is too many." During the Second World War, neither the United States nor the British ever bombed any concentration camp to stop the killing of Jews. The United States never once bombed the rail tracks to the camps. Had they done so, ten thousand Jews would have been saved every day in Auschwitz alone. The unforgettable and unforgivable story of the S.S. Saint Louis must be retold over and over. The ship sailed from Hamburg, Germany, at the beginning of the war and reached the United States with hundreds of Jews aboard. The United States refused entrance to these Jewish refugees, and when the ship made its way to Havana, Cuba, the United States warned the Cubans to send the ship away. The captain of the Saint Louis saw no choice but to return to Hamburg, from where the Jews were taken off and sent to their death. After the war, there were six hundred thousand Jewish survivors in the camps of Europe, with no country willing to take them in. Where was the great outpouring of international Christian charity then? In 1947, when the UN voted for the establishment of a Jewish State it was moved by sinister motives. Firstly, the countries of Europe and the United States did not want to accept these Jewish refugees, so the best option was to "toss them to the dogs" in the Middle East, where the Arab hordes would finish the job. With the establishment of a Jewish State, there was to be a parallel Arab State which would guarantee a very short life expectancy for the Jews. The British, whose mandate over the Holy Land was terminated on May 14, 1948, the day the Jewish State came into existence, removed their troops from the country, but they did not return home. They waited in international waters for the remnant of the Jewish yishuv (settlement) to beg them to return in the face of the Arab onslaught. Russia voted for the establishment of the State, with the intention that Israel would serve as a center for the Soviet Union in the Middle East. Let’s not forget, that when the armies of seven Arab countries attacked us on the 15th of May, 1948, the United States announced and enforced an arms embargo on the fledgling Jewish State. Not one bullet was allowed to be sent here. At that time, my family was involved in the obtaining of arms for the State. I recall the day when I came home and saw my parents in tears and screaming, because it was learned that the FBI had confiscated an arms cache ready to be sent to Eretz Yisrael. But with the help of HaShem, we defeated all these Arab armies without the "help" of the world and to their absolute chagrin. In the three weeks leading up to the Six Day War, no country volunteered their help. It was the "hand of HaShem" which led our pilots on the morning of June 5, 1967 when our air force destroyed all the Arab air forces in the Middle East, and gave us all Yerushalayim, the Shomron, Yehuda [Jerusalem, Samaria, Judea] and the Golan to this day. In the Yom Kippur War we were dire straits, but the United States withheld desperately needed military aid. President Nixon intervened and ordered the immediate shipment of weapons to Israel, and for this he will have a lonely place in Gan Eden [Paradise] without any other American politicians to talk to. The real reason, however, is that Israel made a "line in the sands of Sinai" which, if crossed by the Egyptian army, would necessitate our use of unconventional weapons. This President Nixon did not want. We won the Yom Kippur War. At its end our troops were 101 kilometers from Cairo, and 35 kilometers from Damascus. We did it alone, and we did it "our way," of course with a little help from the God of our fathers Avraham, Yitzchak and Ya’akov [Abraham, Isaac and Jacob]. The concept that the good that people do will come up at a later time to point an accusing finger at them is deeply intrenched in the conduct of the Catholic Church. There is much good in the Church. Many of their priests and nuns are dedicated to the betterment of humanity. We can find them in the most treacherous parts of the world bringing literacy, medical help and monotheism. The heads of the Catholic Church were not like the nation of Amalek which was "born of bad seed." Each Pope strove to further the convictions of the faith, which is admirable. But here is the "thorn." Since the Church was capable of doing humanitarian acts, the conclusion is that their sadistic, barbaric, cruel, heartless, inhumane treatment of the Jewish people over two thousand years of our European experience was the result of a calculated and reasoned strategy to destroy us. The reality is that Israel and the Jewish people have no real friends among the world’s nations, but we have among them real enemies. If I were to compose a list of cultures that contributed to the advancement of humanity, I would not be off the mark if I place the Jewish nation first and the Haitians very close to last. And, although I wish the poor people of Haiti that they succeed in rebuilding their country, an objective observer can discern an inverted equation with regard to the world’s reactions to current events, with the most sacred people, in the best case, neglected, while an impoverished culture receives great attention. The Gemara (Avoda Zara 2b) describes what will occur in the future, when HaShem will invite every nation to detail the highlights of their culture. The first to enter will be Roma (European countries including the USA), followed by Paras (Iran and their Moslem friends) who will describe the roads they paved, the bridges they built and the great actions of their societies, and they will say to HaShem that all that they had done was to further the ability of the Jews to abide by the Torah. HaShem will then show each nation the real motives behind their actions, when nothing they ever did was for the benefit of the Jewish people. But the real conclusion from this story is that we do not need help of the nations, because we have HaShem’s promise that He will forever watch over us. Indeed, it is not we who need the help of the nations but it is they who so vitally need the Jewish people. But, unfortunately, this they will find out only when it will be too late. --- Maybe Haiti is like Iyov. We learn that Hashem occupied the SA with the not-so-innocent Iyov so that the Accuser could not interfere with the geulah from Mitzrayim. Maybe the US and UN will have their hands too full with this catastrophe to waste their time pestering us...for awhile anyway. ---I saw a comment somwhere that China is poised to take over the world leadership role from the US. Not true. When Edom falls, Israel rises. And the success of our medical personnel in Haiti is a small indication of that. Like the man said, "Makes you embarrassed to be an American." ---There are a few "interfaith" rabbis out there forging ties with "humanity." They like to talk about how the followers of the three "monotheistic faiths" are all the children of Avraham and they make much of Avraham's openness to everyone. But what occurs to me is that Avraham was a "root" and the age of "roots" has ended. In other words, Avraham was a unique person with a unique mission at a specific point in history which has now passed. Yishmael descended from Avraham and Eisav descended from Yitzchak, but all the sons of Yaakov were righteous. That is why we are not called the children of Avraham or the children of Yitzchak, but the Children of Yisrael (Yaakov). 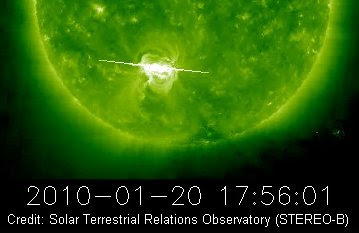 The ongoing sequence of flares signals a sharp upturn in solar activity. Before this week, the last time the sun produced even a single M-class solar flare was in March 2008--almost two years ago. M-class solar flares have a moderate effect on Earth. Mainly, they boost the usual ionization of Earth's upper atmosphere, causing short-lived radio blackouts at some frequencies and radio enhancements at others. "California Hit by Strong Weather"
"Series of storms causes major damage as residents prepare for mud slides." A RARE tornado warning was been issued for Los Angeles as a storm slammed into southern California, dumping heavy rain and snow across the region and leaving thousands of homes without power. A strong storm moving in from the Pacific Ocean and packing winds of about 95 km/h had triggered the tornado alert. "We don't have any physical evidence of a tornado, but our radars indicated it is spinning rapidly so there's a good chance of a tornado at the surface." Powerful storm fronts developing at sea often weakened by the time they made landfall, so tornado alerts in sun-baked California are "pretty rare". The storm rolling into southern California Tuesday followed a similar weather front which deluged the region 24 hours earlier. Authorities placed hillside communities on alert for flash flooding and mudslides, a major concern in regions affected by raging wildfires last year. Yesterday's storm was one of a series of wet weather fronts forecast to hit southern California this week, which are expected to drop as much as 16 inches of rain in some areas. 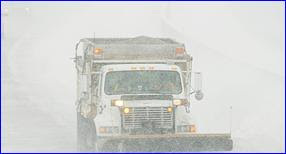 Monday's storm was the second of at least four expected to march through the state this week. 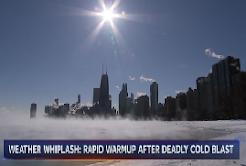 "Deep Freeze Continues in Europe"
What more can I say? What more can I say to you? 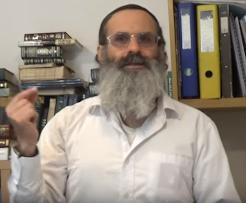 It is written that at the end of the birthpangs of Mashiach, before Mashiach comes, the majority of the Jews will be from the Erev Rav and amongst them will be Amalekim and also, even among our leaders – the secular, the religious and the chareidi….there are among them also Erev Rav and Amalekim. Open your eyes! You don’t see? Torah scholars, you don’t see? You don’t see that all the prophecies are already coming to pass and only the end has not come? You can see that it is arriving really soon. Everything is occurring fast. Everything is going straight and clear. This world, as we know it, will not stand much longer. Hashem will slaughter the “Lie” and the “Truth” will live. It will be a world without the yetzer hara and without lies. We see clearly that many countries – America, Russia, Iran, Iraq, Europe, England, India, Pakistan, all the Arab lands, China, the Far East, the Near East, wherever you want, -- are preparing for wars. All over the world, we already see wars. There is a cruel gun that can destroy whole countries, not a man remaining. There have been improvements to these guns that 20 – 30 years ago, nobody dreamed of, except maybe in the movies, but not for real. Right now, we are living in a world that is difficult to digest, that there can really be a world like this, a world full of lies, evil, hate, wars, murder, immodesty, everything sickening that it’s possible to describe. But the majority of the Jews don’t want to know. Most of the Jews in the world continue on as if nothing is happening. Correct, that a few are nervous that money is harder to obtain, and people are dying before their time from societal pressures and it’s correct that there are hard cases that never were before of widows with troubles that once only the goyim suffered from, and it’s correct that we don’t see a future for the next generation of Jews, Hashem protect us! But despite this, the majority of Jews, including the chareidim, don’t feel the need to pray or to cry out to HKB”H – to request help, to leave the crisis that we ourselves created. We see clearly the many dangers that Hashem shows us, but that doesn’t convince most Jews, so the majority of Jews continue to live like normal. What can I tell you? I want to cry out with a great shout: Heaven, Master of the Universe, wake up your people Israel, wake them up, what will be with them? Don’t destroy them, Master of the Universe, don’t destroy them, have mercy on Am Yisrael, that for more than 2000 years has been in the hardest exile. In the merit of all the righteous who died for the sanctification of Your Name, who were ready to kill themselves along with their children and women, only Father in Heaven, please have mercy on Your children. Am Yisrael, Am Yisrael, you don’t understand, HKB”H loves us, but if we cross the set limits, and we are already almost there, then nothing will help. Only those who are receiving HKB”H with everything they can, only those who are able to say with all their heart, “there is nothing besides Him” will be able to survive, to live in the world of Truth. HKB”H sent this week a giant earthquake to Haiti, a place full of many sins and filth, both spiritually and bodily. HKB”H sent the earthquake so that the resulting destruction is equal to several atomic bombs. Thousands and thousands of people killed, we don’t yet know how many. Thousands and thousands of people disappeared and how many millions injured. You don’t understand the message, Am Yisrael? [The point is for Am Yisrael to understand since chazal say that nothing comes to the world but for the sake of Am Yisrael.] It needed to happen in New York, chas v’shalom! or London, chas v’shalom! Or Vienna or Amsterdam or Moscow (places where many Jews live) or Jerusalem, chas v’shalom! Until the Jew will understand and feel and cry and shout and plead with Shamayim for the geulah? What happened in Haiti was a warning. HKB”H, in His glory and by Himself, will destroy two-thirds of the world without any help from people. Am Yisrael, return now, this moment, because there is no more time. Am Yisrael, it will not be possible to do teshuva at the last moment, the mind can’t work in a situation like this. He who does teshuva prior to that time won’t have a problem, and he who doesn’t, chas v’shalom, his mind won’t be able to think hard enough. Now, Hashem sends little examples, a very little example of what’s going to be. Look well, observe, begin to think and to do a spiritual accounting, return to HKB”H, our Father in Heaven. Am Yisrael, cry out to Heaven, ask for the complete redemption, direct your prayers to HKB”H, to the Throne of Glory, return in full repentance because there’s no time, there’s no time, there’s no time. And he who makes a joke from my words, he is more than foolish, he is a person without knowledge, he’s an empty person, he’s an unacceptable person, he’s a person who has no future and has not eternity, chas v’shalom. My father has asked me to conclude my message with words that give hope, but I look around, I observe the sad and hard spiritual situation of Am Yisrael and I have no words of encouragement. I have like arrows in my heart. I only have the desire to sit down where I stand and tear my clothes in mourning; to put ashes on my head and sackcloth on my body and cry, and cry and cry. To cry over Am Yisrael, an entertaining child, the bride of HKB”H in the wilderness, the beloved of HKB”H, a special nation. What will be with you? For an in-depth explanation of Facilitated Communication and examples of messages from the autistics and others, read Secrets of the Soul. Rare solar eclipse Jan. 15: Astronomers believe this rare solar eclipse seen across Africa, Asia and the Indian Ocean may be the longest annular eclipse in more than 1,000 years. Msnbc.com's Dara Brown reports. The image comes straight off the MSNBC video. There are less pressing shortages of potatoes, sprouts and cabbages, because farmers are struggling to harvest their vegetables. "This reduces the amount available to stores and pushes up prices," said Stephen Alambritis, chief spokesman for the Federation of Small Businesses, which has 215,000 members. "Our members have had a run on vegetables and food, which they were pleased about because it brought them in some money, but the replacements have been thin on the ground." He added: "Even the supermarkets may have to push up prices if this goes on until February." ...Concerns have now switched to food supply. Sub-zero temperatures have made it impossible to extract some vegetables from the ground. Producers of brussels sprouts and cabbages are all reporting problems with harvesting. Cauliflowers are said to have turned to "mush" in the sustained frost, with the result that only imported ones are available – at more than £2 each. ...In Ireland, 6,000 acres of potatoes remains unharvested and there are claims that up to three-quarters of the crop may be ruined. ...Today, the prime minister insisted gas supplies were not running out, despite record levels of demand. Vauxhall's car plant at Ellesmere Port on Merseyside and British Sugar's refineries at Bury St Edmunds and Newark are among nearly 100 factories that have had their gas cut as Britain's energy infrastructure creaks under the strain of the great freeze. Britain's wildlife is being pushed to "the brink of a crisis" as sub-zero temperatures continue to grip the nation, according to conservationists. Will Hashem send us Mashiach if we are not prepared to follow him? What would be the point? If it's true that those who know Torah best believe that false religions should have "rights" in Eretz Yisrael, then we are not ready for Mashiach. 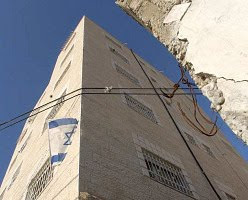 Jewish Israelis oppose a Swiss-style ban on mosque minarets in the country, with opposition to the restriction highest among right-wing and haredi Jews, according to a poll conducted in late December and early January. ...Respondents who considered themselves "national-religious" opposed such a ban by 72% to 16%, with 55% saying they were "strongly opposed". The ultra-Orthodox opposed the measure by 53% to 21%, with declining opposition among secular (42% to 29%) and "traditional" (36% to 31%) Jews. The survey demonstrated that "when it comes to freedom of religion, Israelis are apparently much more tolerant than their Swiss counterparts," according to Rabbi Marc Schneier, president of the Foundation for Ethnic Understanding. "There is a definite correlation between religious observance and tolerance towards Islam... The fact that less than one-third of all Israelis support banning minarets indicates that from the Israeli point of view, there is room for respectful coexistence between Israeli Jews and Israeli Arabs when it is based on religion and not politics." ...Thus, voters for the far-right National Union party opposed a Swiss-style measure by 92%, with 65% "strongly opposed" and just 8% expressing support. Yeshayahu 27.9---"Therefore, with this shall Jacob's iniquity be atoned for, and this is all the fruit of removing his sin; by making all the altar stones like crushed chalkstones; asherim and sun-images shall not rise." And "nice" people don't have any problem with it. Western Jews, Heaven is screaming at you!!! Are you deaf!!? "In Through the Back Door"
"And the child grew and she brought him to Pharaoh's daughter and he became her son." Our parsha reveals to us an amazing chain of events unparalleled in world history. King Pharaoh comes out with harsh decrees against the Jewish people, killing their male babies and using Jewish blood to bathe in. When his astrologers foresaw that a savior would arise and free the Jewish people (but unknown to them was from which nation he would come from), Pharaoh had all males killed, including from his own people. So great was his concern and fear, that daily his special troops would go out and search the land, carefully noting each woman's pregnancy, and when they gave birth the male babies would be put to death at once. It was in these horrific and alarming times that Moshe was born. Placing him on the banks of the Nile, his sister Miriam waited to see his fate. Moshe is miraculous rescued by none other than the daughter of Pharaoh himself, who took him into the palace. As this is not enough that a Jewish boy survives, his own mother Yocheved is hired to nurse him. Not only does she have the joy of seeing her son alive, but she also gets paid for it. "And he became a son to her". Moshe is raised on the knees of Pharaoh, all who see him in the kingdom fall in love with this cute little boy who can do no harm. And no one puts two and two together: that there is a decree to kill all male children. And here, under their very noses, Moshe is arising. The Midrash teaches us that just as Moshe was raised in the very place that decreed to kill him - so, too, our long-awaited Messiah will be raised among Edom (Esau), who do all in their power to stop him from coming and redeeming his people, as the prophet Isaiah tells us: "There shall he lie down and consume its branches." This effort on the part of Edom to stop the redemption of the Jewish people, we find in earlier times in the story of Yehuda and Tamar, his daughter-in-law. After she was accused of adultery and was being led to her death, she refused to embarrass Yehuda and say that from him she was impregnated; rather, she stated that from the person who left the staff and ring she became impregnated, and she asked him to identify them. At that moment, our rabbis teach us that the angel of Edom, "Sam", came and hid the staff and ring so as not to have the sign and proof to show that this came about from Yehuda, in order for her to be put to death. Why? "Uncle Sam"
knew that through this union of Tamar and Yehuda would come the Messiah and he therefore wanted her dead, but the great defender of the Jewish people, the angel Gabriel, came to the defense of the Jewish people and returned the items to Tamar. not all keepers of the Shabbat day. Most religious Jews were against the return to Zion, seeing who the returnees were, but the Nativ said anyway that we should not advise G-d how to redeem His people. To this day, one still hears the voices of the deniers of Redemption that in Israel there are many problems in Torah learning, education of the young, etc. To them we say that the words of the Nativ ring true: Let us not give advice to Hashem how to bring about the Redemption, which is unfolding before our eyes. For the Redemption will come about through the back door, and those who have not entered will be left locked out. It might look like snow and ice, but they are playing with FIRE! There's a new "Egyptian-Saudi Peace Plan" in the works. (Isn't there a new peace plan every week???) Of course, it's already doomed to failure. Just like they are all doomed to failure. Because for all the talk and debate about settlements and building freezes; exchange of territory to account for realities on the ground and 1967 borders...when they get to the part about "with East Jerusalem as it's capital," that's where it all breaks down and it'll do it every single time. Let's just cut to the chase, shall we? Let's go straight to final status talks and finish this farce already! That is the surefire way to hasten Mashiach Tzidkeinu. The geulah is so longdrawn out only because we are dragging our feet, playing at coming to some agreement that's never going to happen. "Shemot: The Book of Redemption"
Don't miss Mashiach's Wife on Shovavim. And enjoy the first of a three-part shiur on "Shemot and Shovavim" by Rabbi Eliezer Breitowitz, the Rosh Yeshiva of Darchei Torah in Toronto. Yeah, keep talking about that settlement freeze, Obama. Meantime, Jerusalem is experiencing quite balmy weather. So who is living with a "freeze" these days, hmmm? Reminds me of that silly children's comeback: "Everything you say bounces off me and sticks to you." Nations of the world, get a clue before your genocidal ambitions are fulfilled in your own backyard! "Do not fear; the Redemption is right on our doorstep"
Ima: My dear Galia, how are you? What are you allowed to tell me without my asking? Galia: My dearest Ima, I am allowed to reveal to you that very difficult times are in store for the world as well as for Am Yisrael. Everything is going to turn into one great big concoction very soon. I do not have permission to elaborate on dates or timeframes, but everything I said a few years ago I did not say in vain and the things will happen in the very near future. All the messages given by the brain damaged people were not given in vain; everything those precious souls predicted will indeed take place; it's all a matter of time. But the prayers of Am Yisrael and their mitzvos can nullify even the harshest decrees, for Am Yisrael has the power to change the world, reality - everything. Just do as many mitzvos as you can and Heaven will show mercy upon us. My dearest mother, this is the time of the Geula (Redemption), a very difficult time full of pre-birth pangs. I have already told you everything; it is not easy to live in such times since there is no time for concessions (from Hashem). The Geula is right on our doorstep and all the tikkunim (rectifications) must be completed by a certain time. That is why the world has been inflicted by terrible suffering unlike ever before since the time of creation. Many people are suffering and great tzaddikim are suffering for Am Yisrael in order to complete the tikkunim and those suffering for the sake of rectifying themselves do not get any easing because the end is near and there is no time for easing. We must do the best we can now rectifying ourselves. Therefore, my dearest Ima, do not be afraid in the rapidly nearing rough times, for Hashem does not intend on punishing anyone from Bnei Yisrael in the birth of the new world. It is birth and therefore painful, it is a painful procedure and will hurt everyone. However, Am Yisrael is always most beloved to Hakadosh Baruch Hu and Hashem Yisborach is always protecting them from harm. Therefore, my beloved Israel, do not fear. As I said before, the more mitzvos you do, the greater the protection for Am Yisrael and the more nullification of decrees. The world is reaching the completion of its tikkun in the very near future. Times will be most difficult particularly with the Arabs here in Israel and everywhere else. The whole world will face vicious wars and powerful countries will struggle with each other but after all that, the world will become quiet and peaceful. It will be a world of supreme beauty, truth, honesty and revelation of Hashem Yisborach. Many of today's heretics will suddenly discover that this world has a king; the King of all Kings, Hakadosh Baruch Hu, the creator of Heaven and earth, He is one and there is no other. Everyone will be overjoyed to discover this revelation after they had been drenched in the darkness like beasts, the world will be pleasant and all the terrible violence that has filled the world and reached a peak lately will cease - there is no way such a violent and un-rectified world can go on. Baruch Hashem, the time for the Geula has arrived. Be merry and rejoice my brothers and sisters, you will be celebrating very soon. There will be wondrous miracles very soon, a real change in the laws of nature. Ima: Gog Umagog? A war? Are you allowed to elaborate? Galia: My dearest mother, I have already told you that the Geula is on the doorstep, which includes Gog Umagog and a big war. It is all pre-birth pangs before the birth of a new, wonderful, beautiful, healthy and fair world for all of humanity, while at its center stands the pearl of charm: Hashem's beautiful Am Yisrael. We are His pearl of charm, we are the only ones who spread the immense kedusha (holiness) throughout the world, the holy Torah, the mitzvos, the absolute emunah (faith) in Hakadosh Baruch Hu Yisborach, He is one and His name is one. Therefore, even in the upcoming rough times for us and all of humanity, we must have great patience and know that everything is actually a preparation for the future joy - all the suffering and difficulties is in preparation for the rectified and good life. War is preparation; it is a more serious method of educating people after easier and more pleasant methods failed, sometimes a more serious way of educating is called for and it proves successful. The difficulties bring about the desired change; they lead to other ways of thinking, other ways of doing things, they make the world look different and better. All of the tzaddikim and all the angels are praying for Am Yisrael to be redeemed with great mercy. There will be wondrous miracles very soon, true changes in the laws of nature. Very meaningful things will happen - things that contradict any kind of basic logic because we are no longer in regular times. Whoever does things now to merit Am Yisrael will be rewarded greatly [in Heaven]. Ima: Someone told me that your messages were printed out and distributed all over Jerusalem. You have a great zechut (merit), you are a great tzaddekes who suffers her whole life in that body, you can't even speak a word to anyone - they do to you what they do and you cannot say one word! But baruch Hashem that you are in such a good place [hostel for special-needs]. Galia: Ima, I know that pages of my messages have been distributed. It merits Am Yisrael, me and you and all those who go around distributing these messages. Their merit is very great. Whoever does things now to merit Am Yisrael will be rewarded greatly [in Heaven]. This is a critical time and whoever can arouse even just the mere thought of teshuva in the heart of another, will merit, be'ezras Hashem, infinite rewarding. Ima, I accept all my suffering with great love; I am very happy that I was given the chance to come to this world and help complete tikkunim. You see, after my hard work you have done teshuva, baruch Hashem. It was already worth my coming down for that and even if it had been only for that it would still be worth my being born into this world and suffering my whole life. Every person has a task to fulfill here in this world and sometimes people are completely unaware of the immense task they are fulfilling here as emissaries of Hashem Yisborach. They are not always aware of these things because the world conceals these things for many different reasons. One of the reasons is because only if there is concealment can the soul undergo a true test. Without concealment there would be no way to test the soul. Ima: Do you have anything to say to your brothers? Galia: No, Ima, Hashem will already bring them to teshuva. I don't think there is a chance that they will not do teshuva. All of Am Yisrael will do teshuva very soon, in light of the events that will take place in Israel and throughout the world and my brothers are included, be'ezrat Hashem. Ima: Do you have anything to say to the people that really look forward to reading the messages each time and truly love them? Galia: They can continue (their excitement), there is nothing wrong with it. On the contrary, sometimes it strengthens the person very much and gives him hope and the will to go on. But the close connection with the Torah is what gives us life and vitality and it strengthens us and works wonders for the person and for all of Klal Yisrael. The Torah is natural water, it gives the person life and he should continue with the Torah of Hashem Yisborach. Ima: How can a person prepare himself for leaving this world? What can he do to not have fear? Galia: Ima, all of his life, man prepares himself for leaving the world, as soon as he comes into the world he is already preparing to leave. Every day that passes prepares him for leaving. Doing mitzvos and good deeds is the best preparation for leaving, they take away all the fear. Whoever knows that he is fulfiiling the will of Hashem Yisborach and his task in this world of coming close to Hashem Yisborach, has nothing to fear or worry about. Whoever carries out the mission for which he was sent to this world - what has he to fear? Also a person who returned to our Father in Heaven after many years - he too is fulfilling the will of Hashem Yisborach, therefore he too has nothing to fear for he has carried out his mission. The Sitra Achra (evil inclination) is constantly mocking the person and luring him with all sorts of forbidden pleasures, all in order so that it can take the kedusha (holiness) away from the person and transfer it over to his side. Look how important the kedusha is, that the Sitra Achra does everything it can just to bring some kedusha over to its side (the impure and evil side). However, everything is over for the evil side now, it will soon be left without air to breathe, without kedusha. It will thus wilt away. The kedusha gives life. Yet as soon as the public discovers Hashem Yisborach, the King of the whole world and of all of the worlds, its seductions will fail and all the kedusha will be returned once more to the supreme source, be'ezrat hashem. This will all happen very soon. Ima: Are we allowed to publicize this message? Galia: Certainly, my dearest Ima. One of the goals of our communicating together is that you should publicize all this to my precious Am Yisrael. This week sees the conclusion of the book of Genesis, and it also concludes the year 2009. In the conclusion of the book of Genesis we are given the promise of redemption, as the Torah says: "Joseph said to his brothers, I am about to die but G-d will surely remember you and bring you up out of this land to the land that He swore to you." At the conclusion of the year 2009, we find science promising us redemption, as they try to smash the atom and find the secret to creation, spending some 10 billion dollars on a machine on the French-Swiss border -that they just cannot seem to make work. At the conclusion of the Book of Genesis, the Jews are settling down to their "good life" in Egypt, enjoying the theater, sport arenas, and movies just like the Egyptians. Yet there was something in the air which one could feel, a feeling of uneasiness was spreading throughout the land. One could not put his finger on it, but it was definitely there, some type of writing on the wall that only the few were able to see and understand; something was just not right, and who knew what was lurking right around the corner. Who in their wildest dreams could have envisioned that in a very short, while the Jews would be subjected to slavery and their male children killed in the first known holocaust to happen to the Jewish people? At the conclusion of 2009, all is "Sababa" - well for the Jews in their "golden lands". All are enjoying the finest of "glatt kosher" restaurants, latest movies rolling out of Hollywood, and waiting to watch the big football game on Super Sunday. But wait - there is something in the air, something is just not right, although most cannot put their finger on it. It's like a feeling that one gets as he closes his coat buttons right before a big storm approaches, and who knows what is lurking ahead for the "comfortable Jew"? At the conclusion of the Book of Genesis, there arises a new (black) king in Egypt who did not know Joseph and all the good that he did for the Egyptians and their economy, and placed harsh decrees against them. In 2009 there arose a new (black) president in the land of who decreed new . . . . In our parsha Joseph tells his brothers that G-d will "pakod yifkod" - remember you. Our rabbis ask why the Torah uses the word "pakod" twice - "pakod yifkod"? G-d was informing them of two visits - the first referred to the time of Moshe, and the second to the time of the future Redemption. The last Redemption will be like the first one. Just as the Jews did not want to be redeemed in Egypt and G-d had to take the Jews out with an outstretched hand - so, too, will be the case in the future Redemption. In his book "Kol Hator" the Gra writes on the sentence "The remnants will be in Zion", that only in the Land of Israel will the escapees of the Jewish people be found, for only those who partake in the Redemption will be found. He worried about this greatly. My teacher, Rabbi Nachman Kahane, has said time and time again for all who want to listen, that the Land of Israel is like Noah's Ark, the safe haven for the Jewish people - one does not want to be caught outside! The Midrash teaches us on the sentence, "Rejoice greatly, O daughter of Zion, behold, your king comes to you. He is just and victorious, humble and riding upon a donkey", that G-d proclaims to all the righteous of every generation and says: "Righteous of the earth, although I need your Torah study, you have behaved poorly, for you awaited My Torah, but not My kingdom. I swear that I Myself shall testify positively on behalf of whoever awaits My kingdom. G-d laments over the righteous who hold on to the Torah, but who disregard His Kingdom in the Land of Israel and do not return. For the Jew the conclusion is also a time for renewal - it is time, far past time, that the conclusion of the exile take place and and in its wake, the renewal of the Promised Land filled up with the Jewish people.